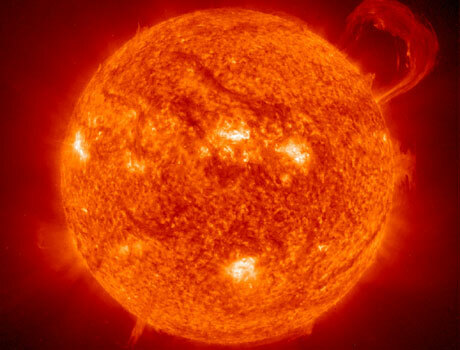 This is an image of the Sun as seen in by the Solar and Heliospheric Observatory (SOHO) spacecraft. Launched on December 2, 1995, SOHO is a joint venture between NASA and the European Space Agency (ESA). This spacecraft orbits the sun at a position where the gravity of the Sun and the Earth are balanced. This position is also known as the Lagrangian point.